BBC WEATHER has forecast “Arctic air” to sweep across the country on Sunday morning bringing “chilly” temperatures for much of the UK. BBC Weather forecast has claimed a “cold front” will bring bone-chilling air as it hits the country during the early hours of Sunday. The BBC Weather forecaster, Ben Rich, claimed temperatures would drop as the cold air moved across the country. Rich added that temperatures on Saturday were around average for this time of year before the chilly cold front is forecast to move in. The BBC Weather forecaster then warned about the bitter winds which were set to grip Britain. Rich said: “As we move out of Saturday evening into the night you can see this band of rain moving southwards across Scotland, into Northern Ireland and northern England as well. “To the south of that there will be clear starry skies, there could be the odd mist patch and again it will be very chilly, some spots close to freezing. “Fairly chilly further north as well, it won’t be quite as cold, as we will have a bit more cloud, a bit more of a breeze as well. “We go into tomorrow morning and that band of cloud across central areas is associated with this, a weather front, a cold front. “As the name suggests, behind that the air will turn colder. In fact, tomorrow, we will be pulling our air from a long way north up in the Arctic really, heading in our direction. So that is never going to be particularly warm. “Our old weather front, our stripe of cloud continues to make progress southwards across Wales and England, I think there will generally be more cloud across England and Wales tomorrow then there will be today. Rich finished by adding that the weather this weekend will generally be “fine and dry” but is likely to feel “chilly”. 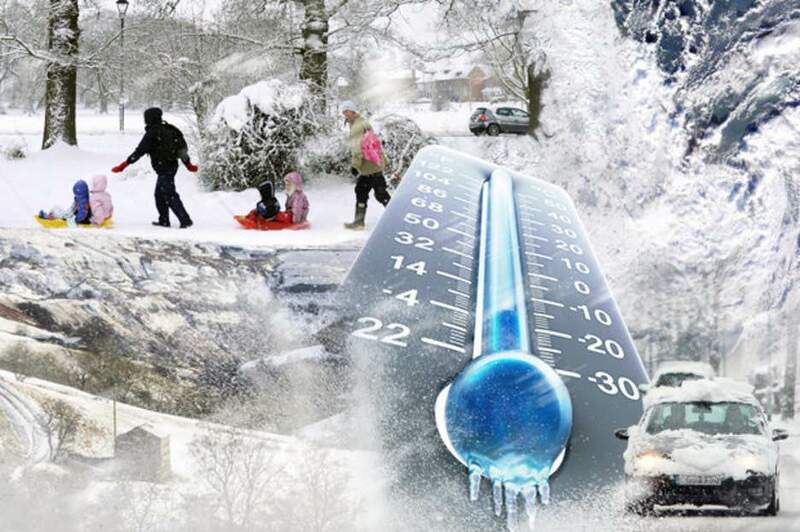 The Met Office has also forecast temperatures to dip with Arctic conditions heading towards Britain. Met Office spokeswoman Nicola Maxey said: “It is going to turn colder towards the weekend with a northerly flow of Arctic air bringing temperatures down compared to earlier in the week. “Overnight into Saturday we could see more widespread frosts with temperatures widely dropping. Anywhere in the country could see frost. With colder temperatures forecast, leading bookmakers have slashed odds to 1-2 that snow will fall in the UK during October. Coral’s Harry Aitkenhead said: “Temperatures are set to tumble and everything looks to be leading up to a big freeze this winter.